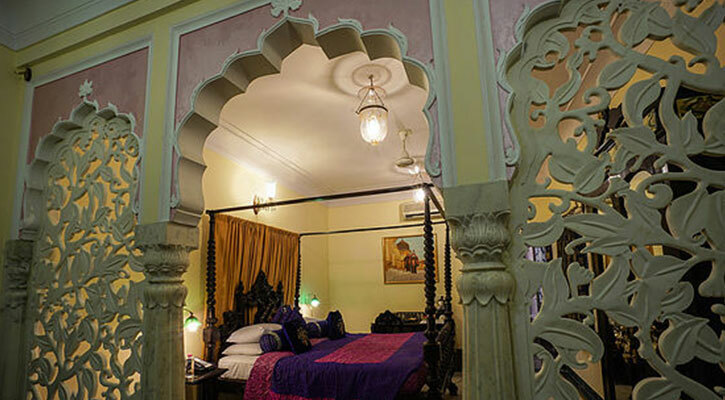 All of the 65 rooms at Shahpura House are unique; luxurious and beautiful, yet equipped with the most modern facilities to make a guest feel utterly at home. 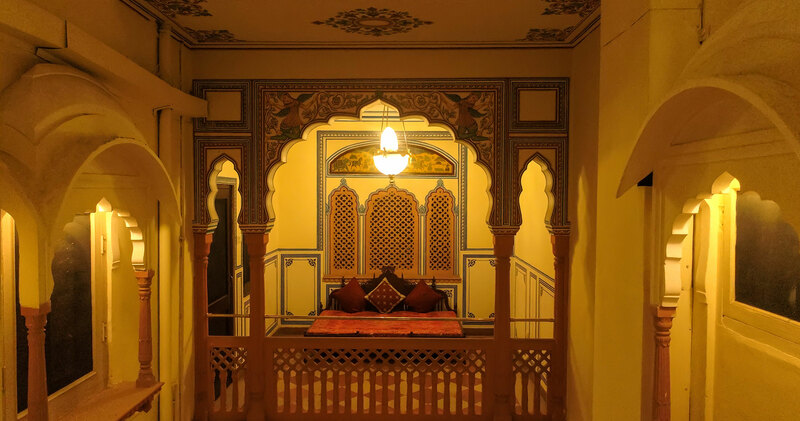 The Luxury suite, called Shahpura Suite, has a beautiful view, of its own. 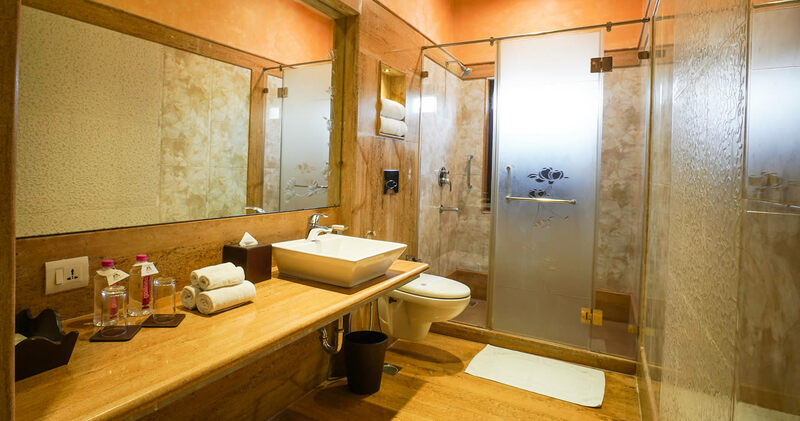 Each room is embellished with marble and semi-precious stones accompanied by marble bathrooms and private verandahs and lobbies. 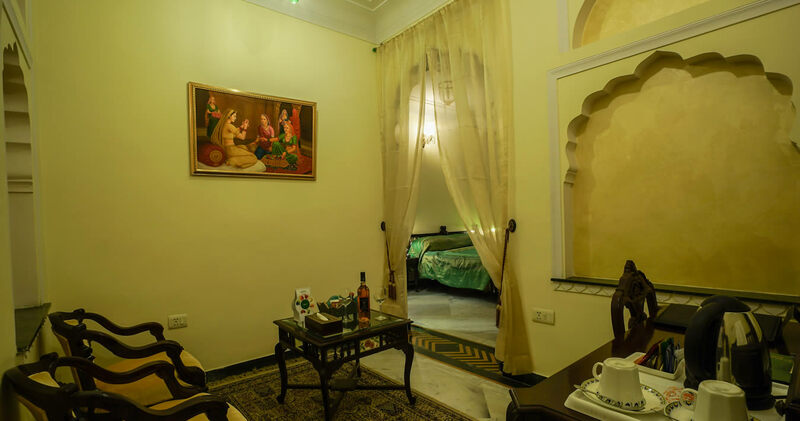 LCD TV | Satellite television | Wired & wireless broadband internet access | Electronic safe | Direct dial Telephone with voice mail | Personal mini-bar | Tea-Coffee Maker, Rajput inspired decoration and marble bathrooms help to create a luxurious haven for our guests. 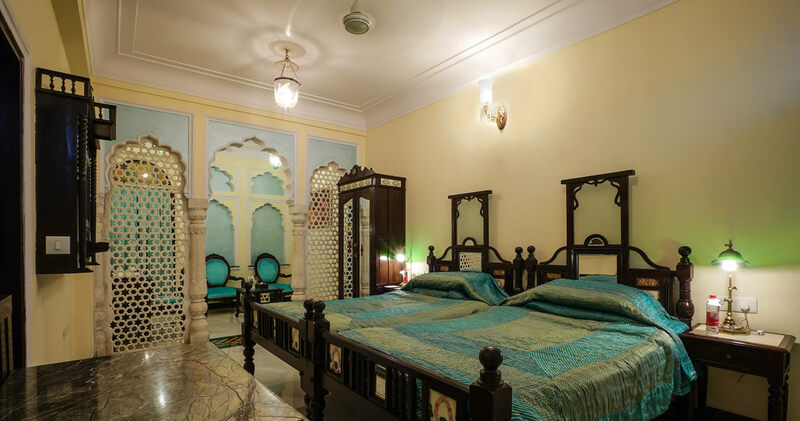 Shahpura Suite is the most spacious and tastefully designed suite at Shahpura House. 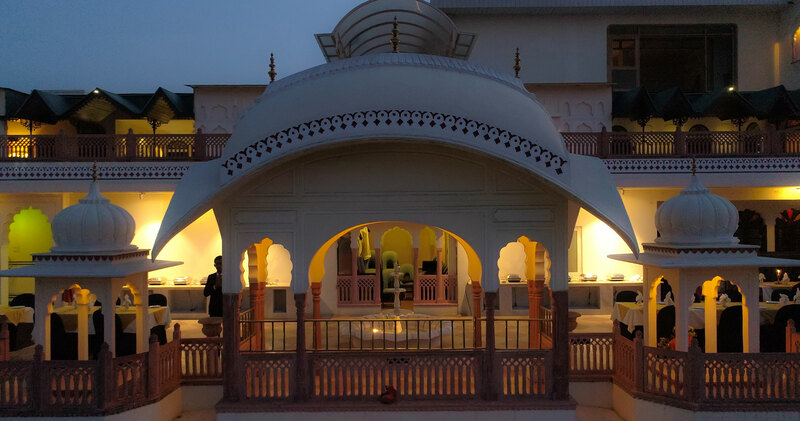 It offers complete privacy and a spectacular view of the city, which can be enjoyed from their common terrace. 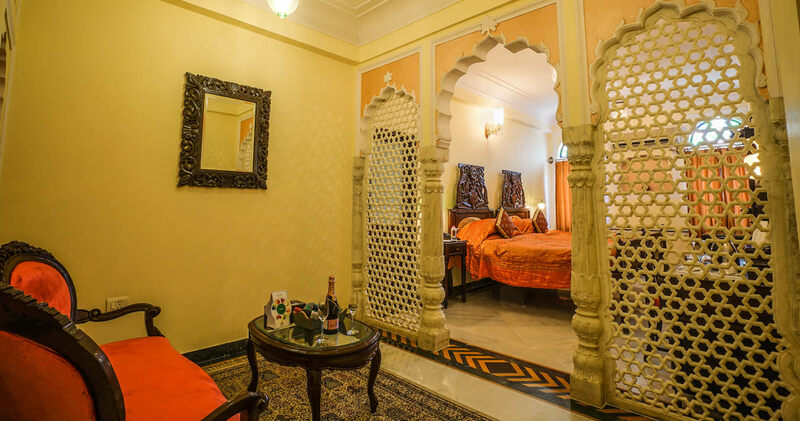 In every room in the suite the furniture and the upholstery have bed/twin bed, air conditioning and have a large sitting area. These suite has their own private elevators to the floor.